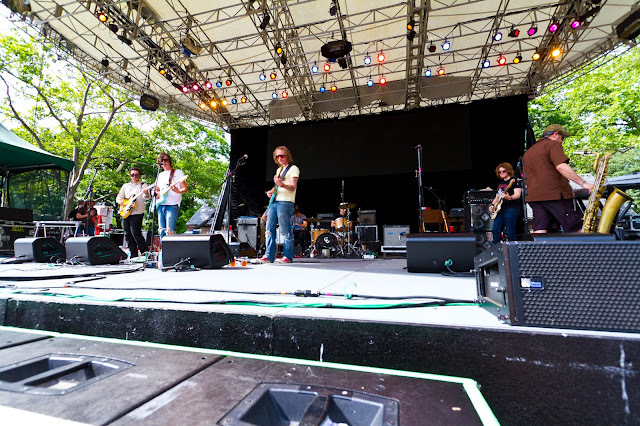 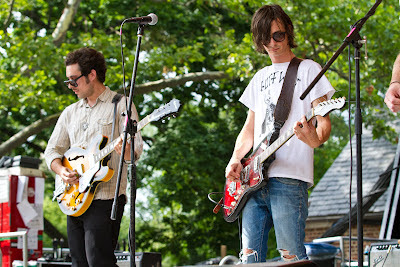 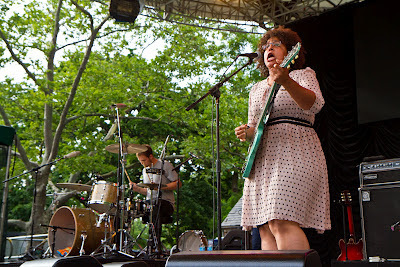 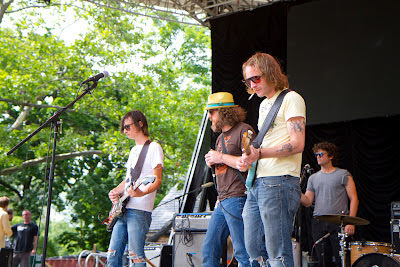 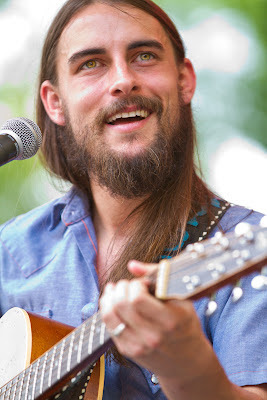 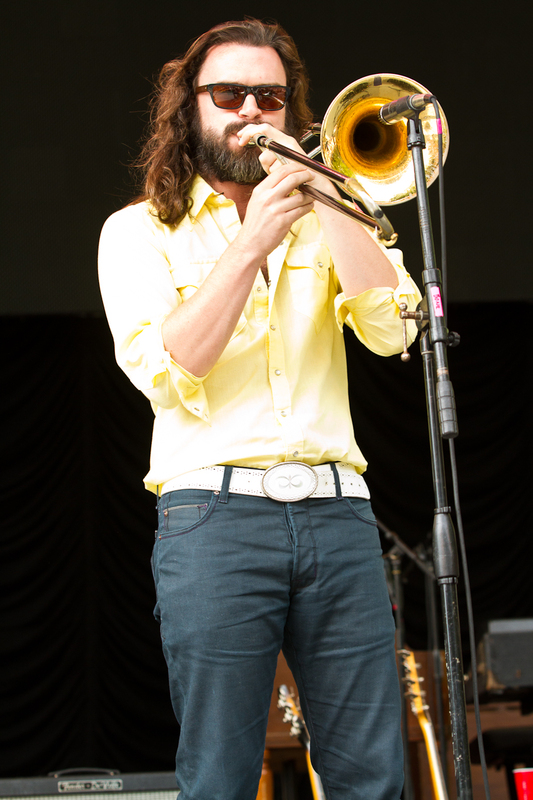 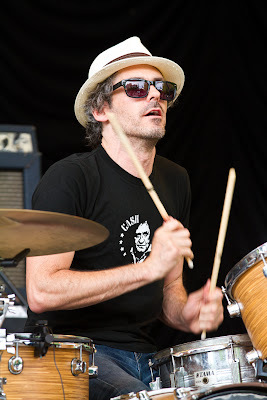 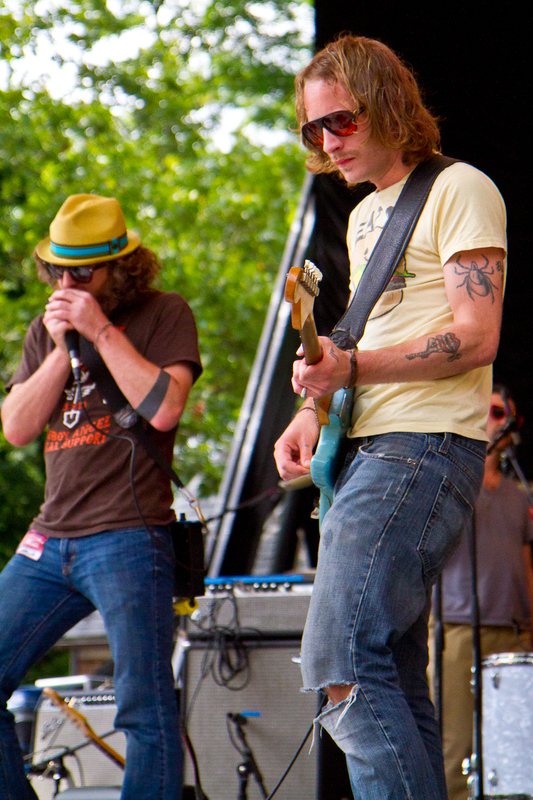 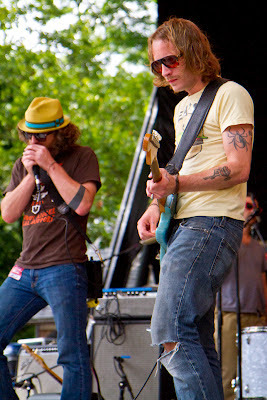 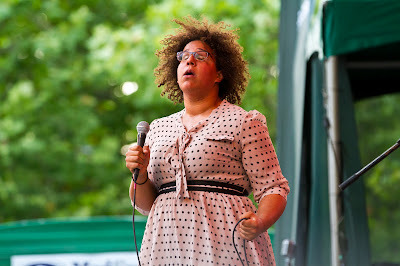 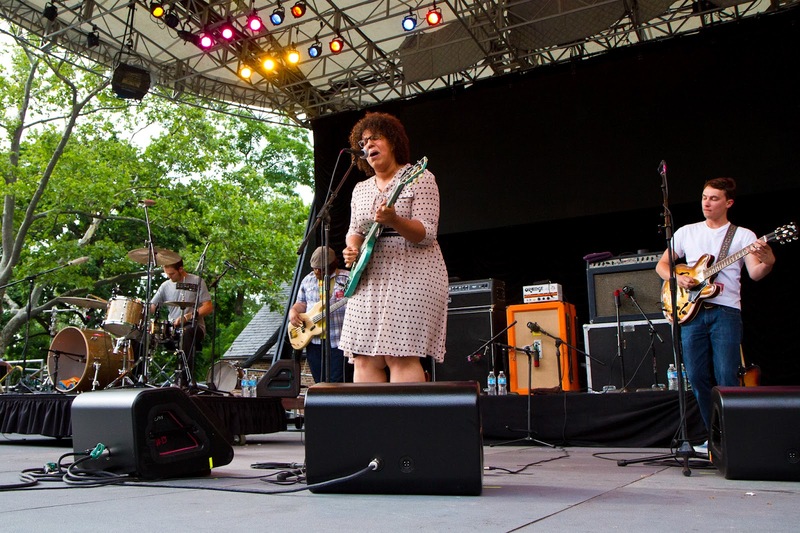 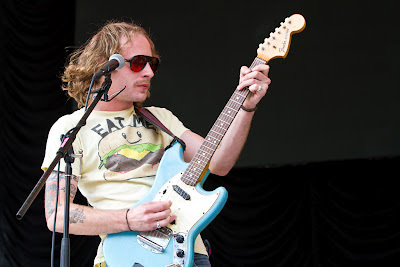 The City Parks Foundation continued wowing New Yorkers with a super Sunday SummerStage show featuring soul-rockers Alabama Shakes, Diamond Rugs; a collaboration with members of Deer Tick, Los Lobos, The Black Lips, Dead Confederate and Six Finger Satellite, along with alt-Country crooner Robert Ellis. 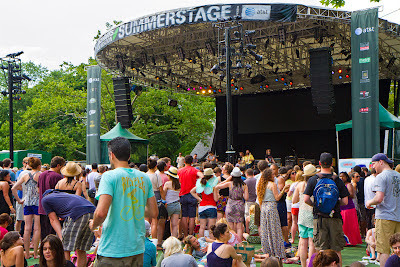 Rumsey Playfield was packed on a perfect early summer day. 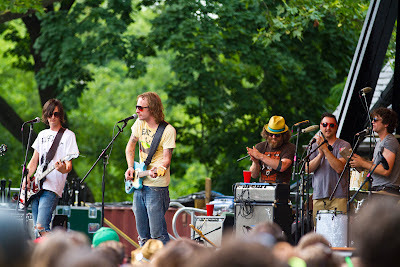 Opener Ellis played a crisp, foot stomping set followed by Diamond Rugs, a band that started as a side project for Deer Tick’s ubiquitous Mike McCauley that has morphed into a serious touring band in its own right. 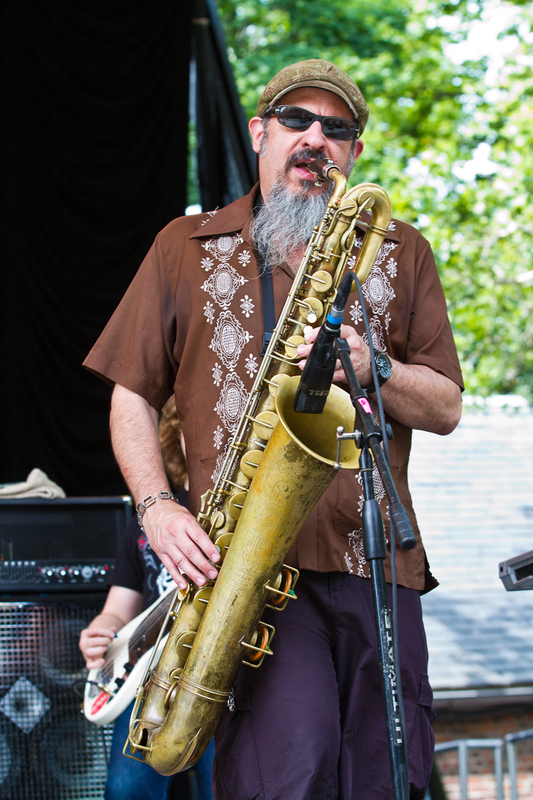 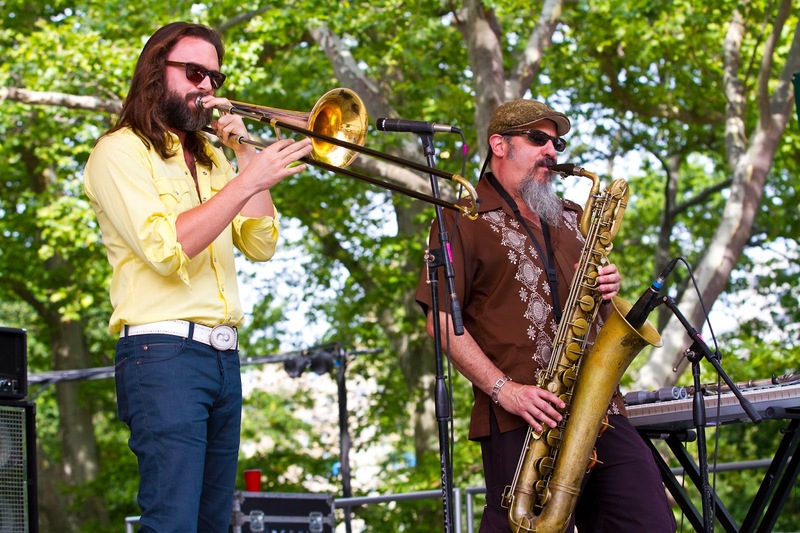 Choosing themes of heavy drinking and remorse, the band is anchored by the large physical and musical presence of Los Lobos sax man Steve Berlin. 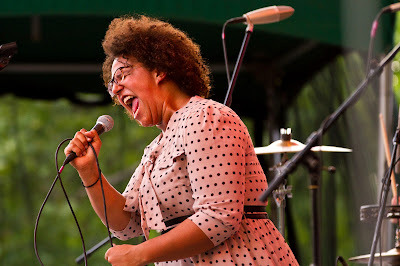 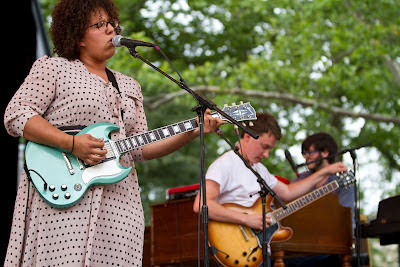 With the audience already primed by two great opening acts, the Alabama Shakes brought the crowd quickly to its feet. 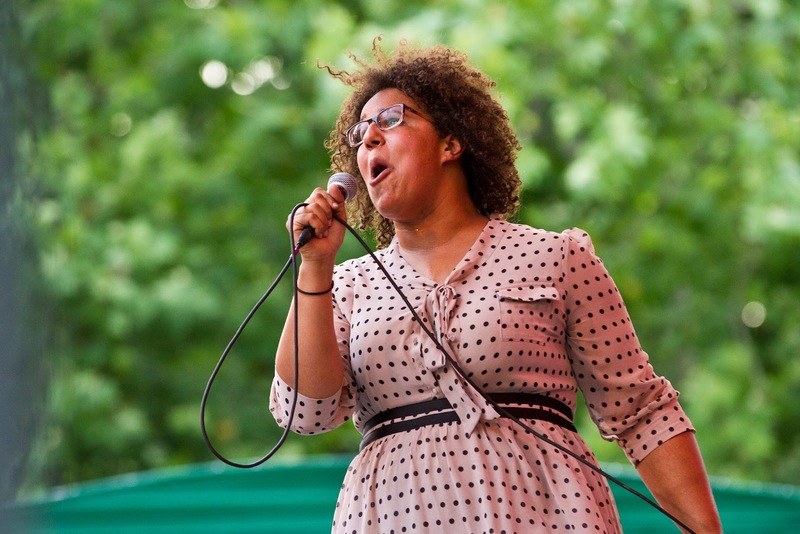 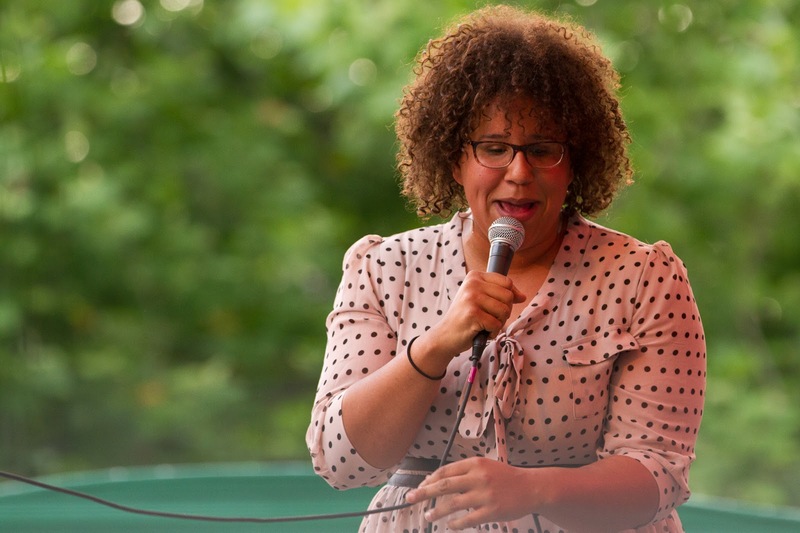 Singer/guitarist Brittany Howard is another in an expanding list of females fronting bands playing roots rocky music traditionally viewed as male-centric. 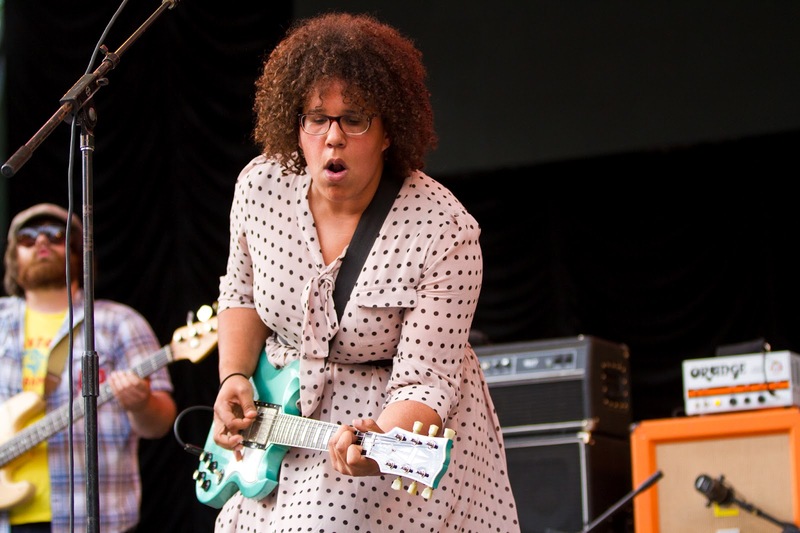 Howard roams the stage, swinging her guitar and rearing back, growling and booming her voice over layered guitars and funky rhythm section. The Shakes music is not the same “Southern Rock” as exemplified by bands like the Allman Brothers or Marshall Tucker, but rather a soul-fused, swampy hybrid blending bar band sound with rip roaring, large crowd rock.